In Virginia, ignition interlock installation is mandated via a court order. Virginia requires you to serve a license suspension of at least a year, even after your first offense. However, during that time period you may be able to retain some of your driving privileges if you agree to install an ignition interlock device. 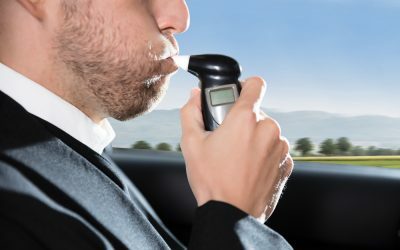 In most cases, the ignition interlock installation is not optional, and if you’ve had prior DUI convictions in Virginia you may face up to a three-year or even an indefinite license suspension. It’s important to follow all the directions given to you by the judicial authorities overseeing your case and your DUI attorney in order to obtain the most positive outcome. It’s critical that you only have your IID device installed by a state-approved vendor in Virginia. Only a state-approved service provider can offer services that are recognized by the state of Virginia. Every ALCOLOCK location is approved and registered in its corresponding state. Our service technicians are highly trained to install, monitor, and remove your IID so you can complete your IID program successfully and with minimal hassle. Your ALCOLOCK installation appointment can be made over the phone and scheduled within two days of ALCOLOCK receiving verification that you need the device. A standard ignition interlock installation appointment will consist of the device installation, training for you so that you know how to properly use the device, and scheduling your first follow-up maintenance appointment. You’ll have to come in regularly, usually monthly, throughout the period of time during which you are mandated to have the IID installed. Once you have served out your time, we’ll remove the device for you, as well. ALCOLOCK has many locations across the United States. We’re happy to help you get back on the road – and on the path to success. Take your first step forward by scheduling your ignition interlock installation with one of our approved vendors in Virginia today. The list below can help you choose the Virginia ALCOLOCK location that’s closest to you.